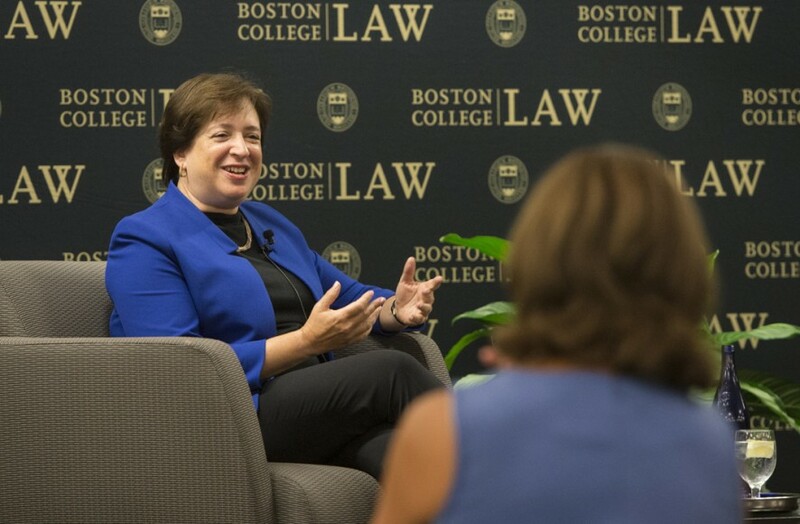 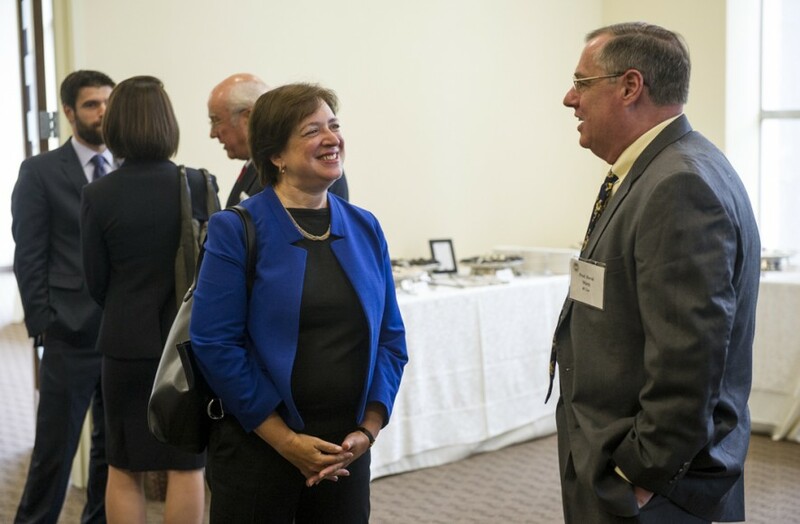 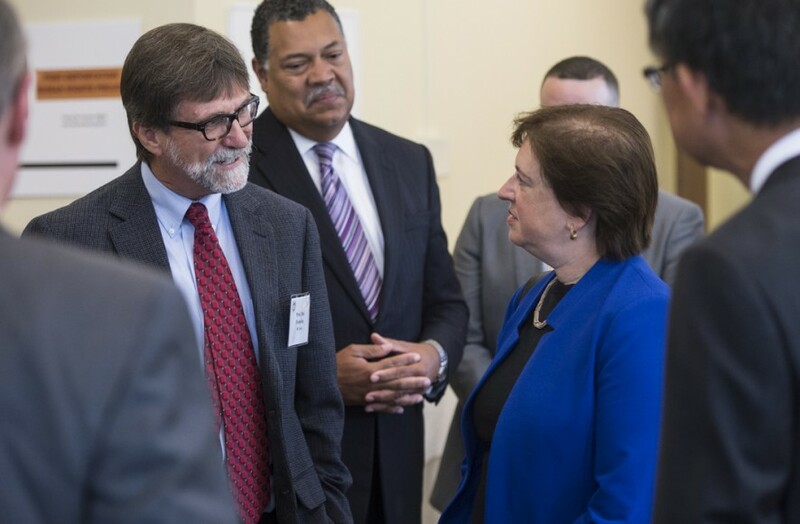 On Friday, September 11, 2015, Supreme Court Associate Justice Elena Kagan visited Boston College Law School for a Q&A with Dean Vincent Rougeau (view video from the event below). 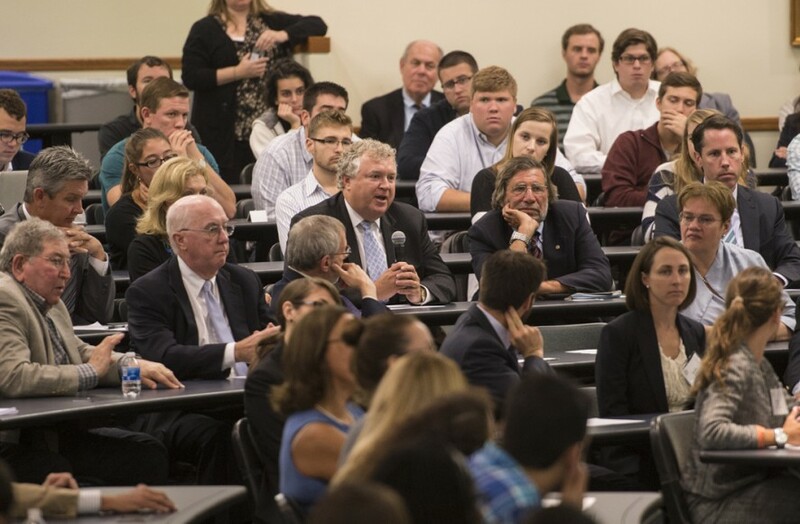 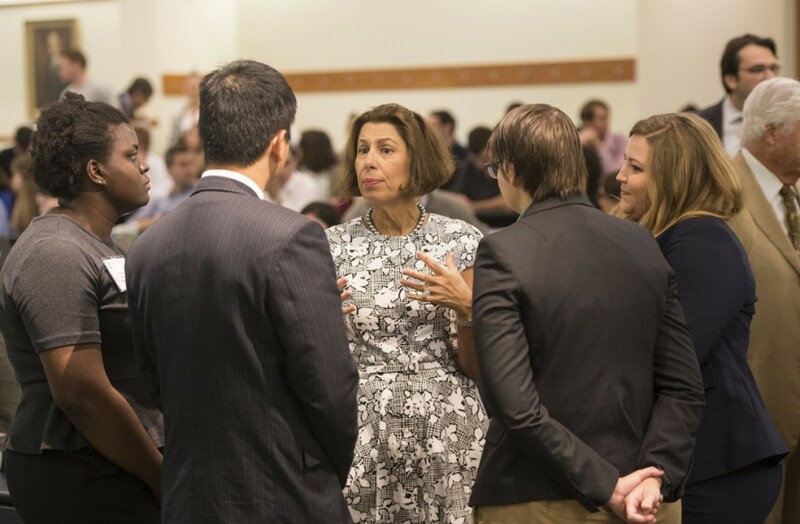 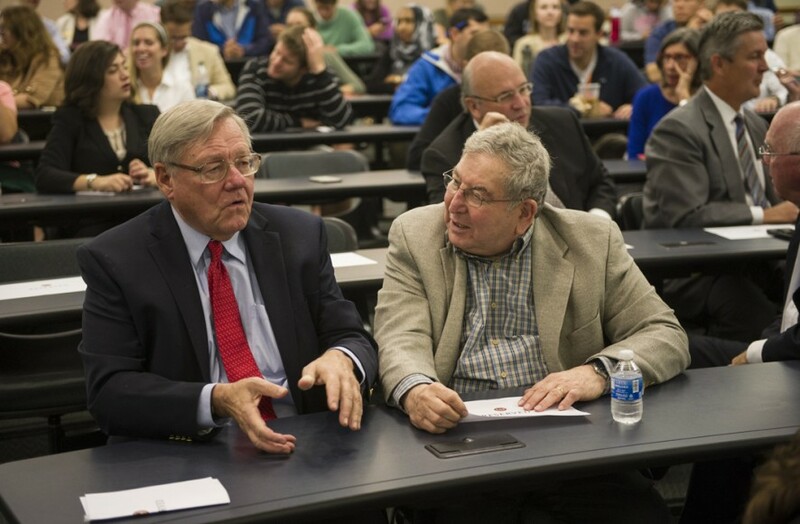 The conversation drew a capacity crowd of over three hundred people to the Law School’s Ropes & Gray Conference Room. 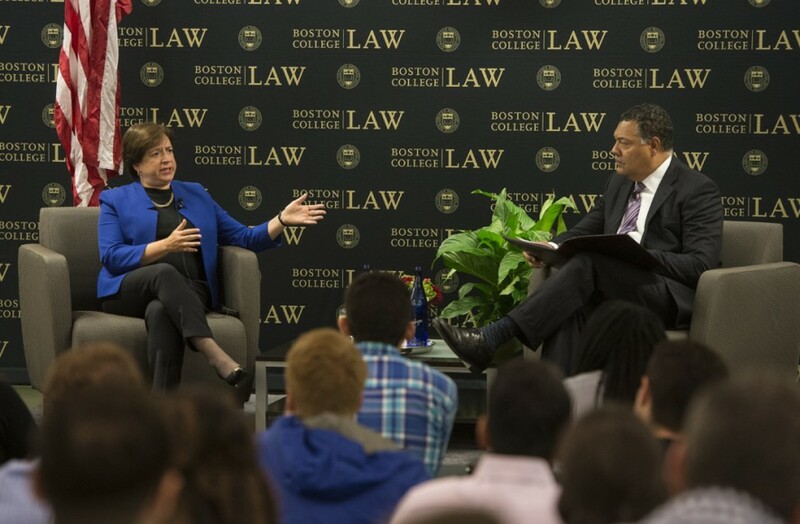 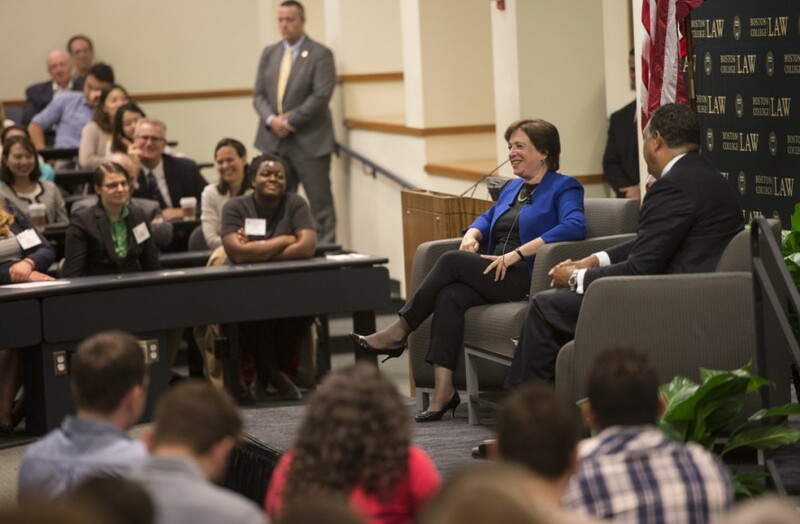 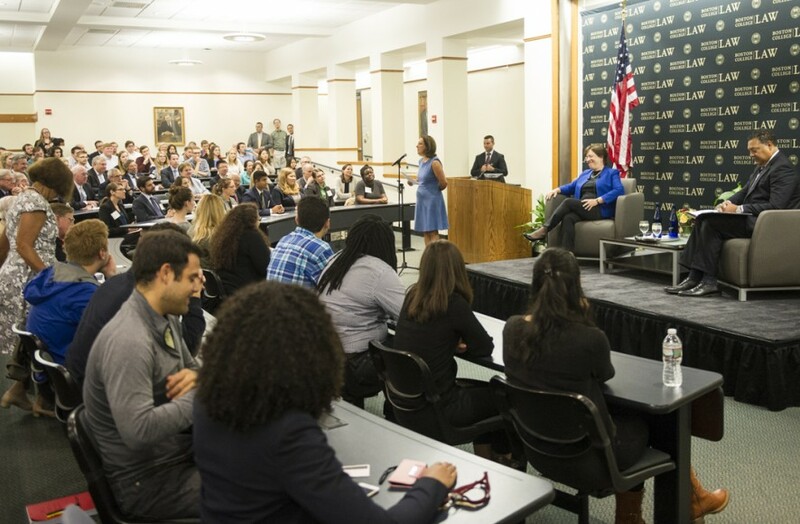 Many more watched from video overflow rooms in the School’s East Wing building as Justice Kagan covered a wide range of topics, from women in the profession to legal writing skills to her experiences as a member of the nation’s highest court. 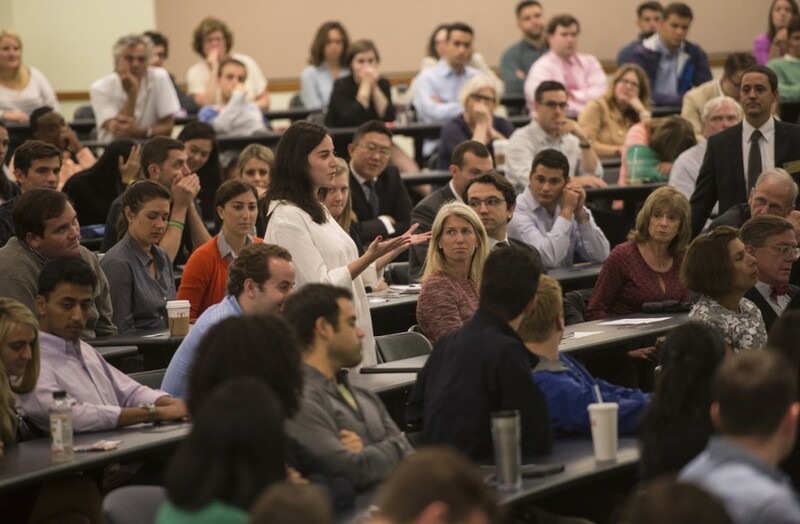 One of the most engaging parts of the discussion for the students in the room focused on the importance of legal writing skills. 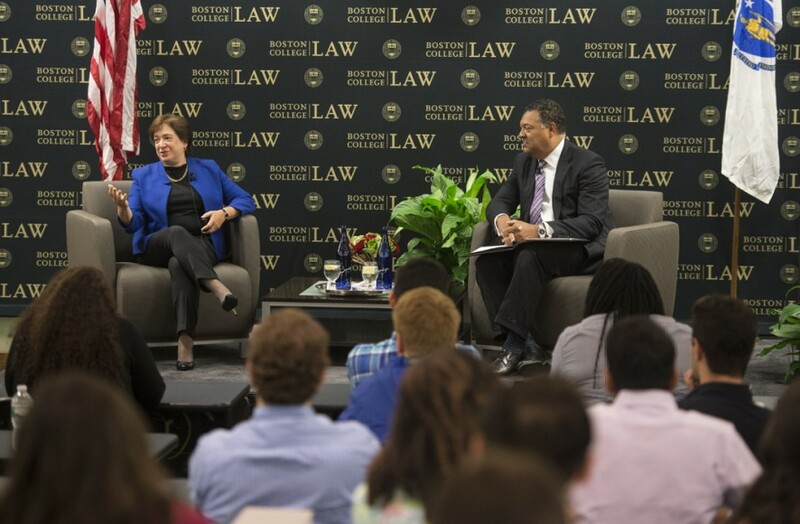 Justice Kagan spoke about her preference for writing as clearly and simply as possible, and even using humor on occasion in her opinions. 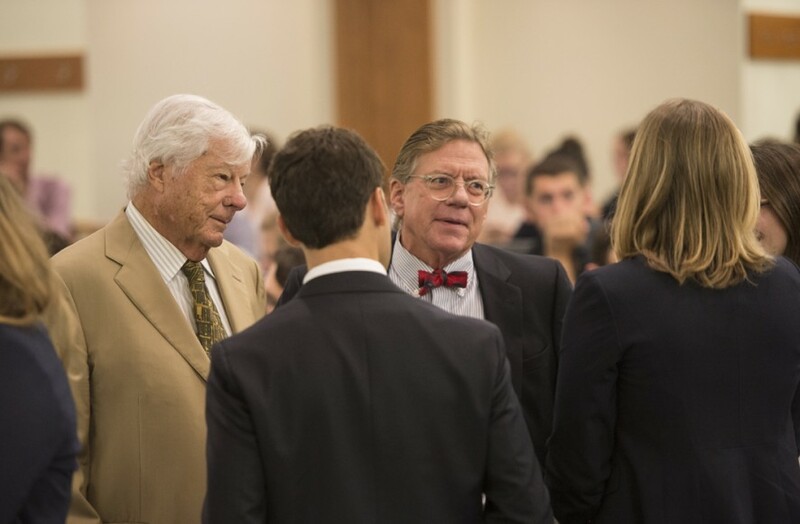 While the Justice admitted that there may be a few lawyers who didn’t have to write much during their careers, that’s the exception rather than the rule. 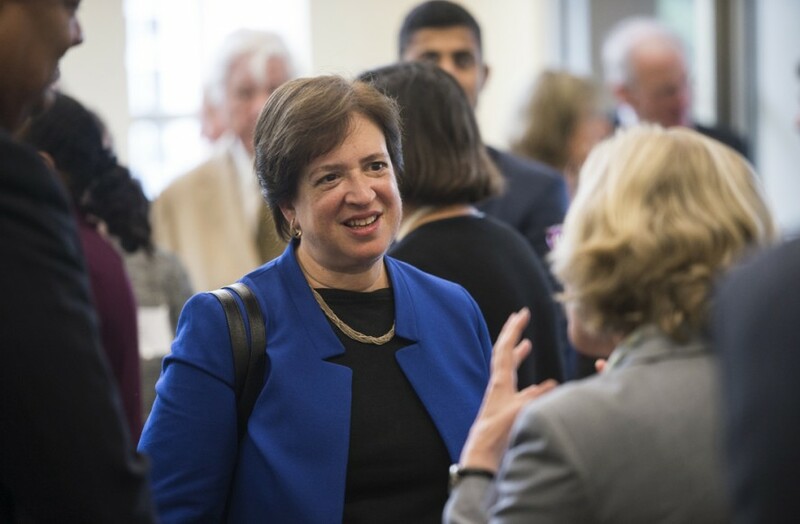 BC Law professor Sharon Beckman, who clerked for Supreme Court Justice Sandra Day O’Connor and knew Justice Kagan personally during her time at the court, gave the introductions, and included anecdotes about playing basketball together on the top floor of the court building.